The Depot Restaurant - Seaview features casual fine dining offering a Chef's Table to watch owner Chef Michael Lalewicz perform his magic from a display kitchen. The covered heated deck adds outdoor seating. A northwest and international wines list offers 16 wines by the glass and six microbrews on-tap. This 125 year old train station from the peninsula's Clamshell Railroad feels like a French Bistro especially when seated at the 9 seat counter reminding one of the Orient Express. 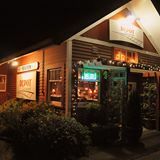 Northwest Palate claims "Lalewicz has food angels in the kitchen" and food writer Gerry Frank of the Oregonian declares "the Depot is one of the best Dinner Houses in the Northwest"